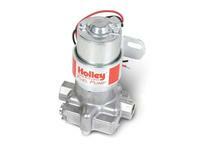 Holley Electric Fuel Pumps are the most popular street performance & racing pumps of all time. Distinctive "red" and "blue" colors. 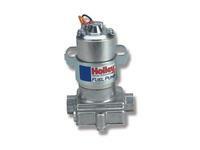 Provides constant fuel flow with no pulsation. 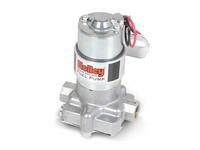 These fuel pumps weigh only 2.88 lbs. 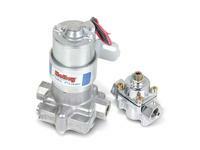 Externally accessible pressure relief valve. Please note that these fuel pumps are not compatible with alcohol or methanol.